Over the last few years, Hans-Peter Lindstrøm has carved out a critic-approved niche as a remixer and collaborator, but he’s accomplished his best work, undoubtedly, as a solo artist. 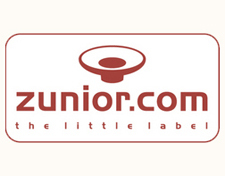 Disco-inflected tech house on tracks like 2004’s “There’s a Drink in My Bedroom and I Need a Hot Lady” laid the foundation for a discography that has culminated recently in Where You Go I Go Too (2008), a wordless prog fantasia of ethereal instrumentation, fat bass lines, and long, long crescendos. 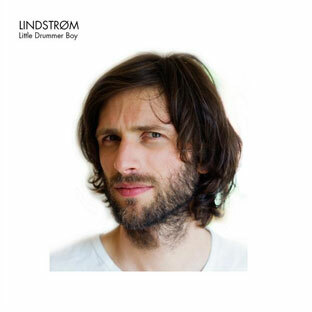 Like that album and last month’s “Little Drummer Boy,” a Lindstrøm release is always pretty straightforward about his overall style being one of inevitable, slow build toward ever-broadening grandeur. From the instant it begins, it’s obvious that Real Life is No Cool is not your typical Lindstrøm release. As amorphous vocal fragments weave back and forth, on top of and off one another erratically, layers mounting spastically, it’s hard not to wonder what the hell is going on. 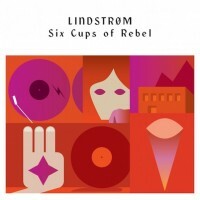 This is a Lindstrøm record, right, and when’s the last time he released a vocal track? I’m not sure if it’s more shocking that the babbling is incoherent and indecipherable or that there’s babbling at all. I hear: “Should we start looking, what should we do? / Looking for what?” Good question. Lindstrøm & Christabelle is the collaborating pair credited for one of Lindstrøm’s earliest releases, 2003’s “Music (In My Mind),” but Real Life is No Cool represents a radical departure from almost everything he has put his name to before. While day-job Christabelle sings in a lame darkwave/trip-hop act called Hungry Lady, here she shows amazing range: cheery happy talk on “Keep It Up”; throaty alto on “Let It Happen”; reedy double-tracking on “Baby Can’t Stop.” It’s as if she’s finally gotten around to making that Donna Summer homage she knows she’s owed the world, whispering, groaning, panting, crying, wailing, and sighing her way through a partnership that proves to be a strangely effortless synthesis—strange because the more elongated and robotic Lindstrøm is the more excitable she gets. Call “Let’s Practise” Christabelle’s best moment among a great many and the closest the album comes to Summer’s rawly distant sexuality; as spare “I Feel Love” synth lines bubble on top of a subdued beat, her half-moaned, half-spoken vocals seem to exist in another realm parallel to but apart from the accompaniment, sometimes lonely but never cold. 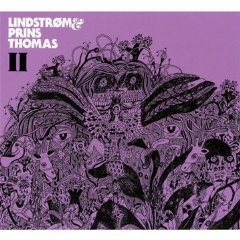 The real revelation here is Lindstrøm’s newfound concision. An idea that’s satisfied in three minutes has never been a goal in any of his music before; whatever the merits of Where You Go I Go Too, none of its three tracks could ever work as a single edit. But Real Life changes that, charting beats and manic drum passages in digestible bites. “Baby Don’t Stop,” whose Chromeo meets Kool & the Gang opening seems in questionable taste until the whole, surprisingly and thrillingly, familiarizes as a Michael Jackson tribute of the highest order, is pop in glaring pieces. And from those pieces (catchy bass riff, syncopated guitar lick, punchy horns) to the disco beat and disco words (“Can’t stop / I can’t get enough”), it’s nothing less than a worthy reimagining of “Don’t Stop ‘til You Get Enough,” which makes it the album’s standout track—not necessarily the best track, though there’s an argument for that as well, but the one most at odds with all of Lindstrøm’s output before. It can be unsettling to witness the artist seemingly alienate himself from his defining music; I almost want to sigh with relief when a synthesizer briefly replaces a horn line, moving a track in a more comfortable disco direction. Or see other jarring moments: the 4/4 dance beat competing with slow guitar triplets on “Looking for What? 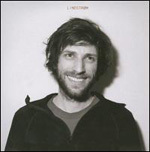 ; the backing track staggering along on “Lovesick” while Christabelle sounds physically ill; the tape-looped psychedelic noise assault of “Never Say Never.” These deviations from the Lindstrøm norm, not to mention Christabelle’s very presence, carry a novelty that can initially prevent any song from congealing properly, making the whole pop move a dead-end. It’s a long-form pattern evolving in patchwork, a big declarative departure, risky but assured, for a shamelessly poppy direction. These sensibilities may have been channeled into something less approachable in the past, or at least less practical, but his attention to detail and ear for melody were always there, waiting to be mined. 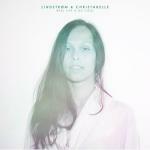 Once the shock of the new dissipates, what’s left is an impeccably assembled record worth indulging with the vigor that any of Lindstrøm’s Christabelle-less work deserves.